Archives of Eaton Bray News for January 1955. This article was published in January 1955. Please see Latest News for more recent information. 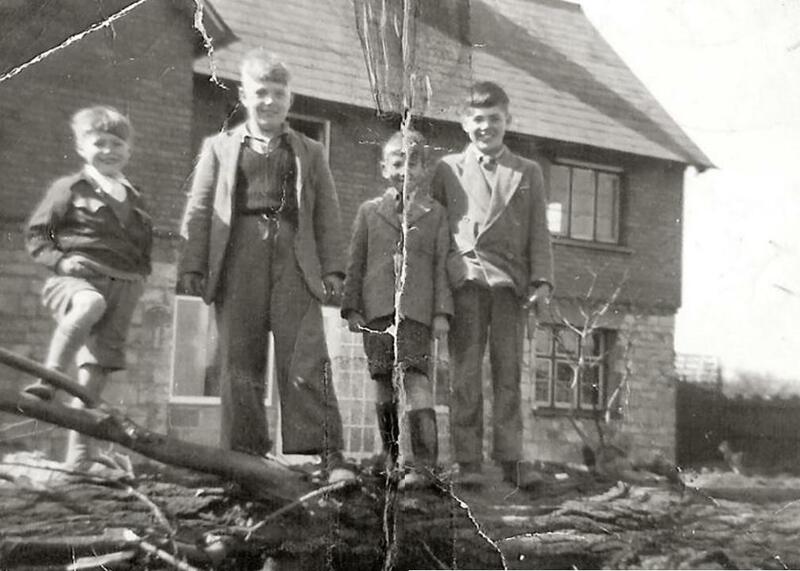 The three bigger boys are the Clarke brothers (from L to R), Sammy, Brian and Freddy, who also lived in Park Lane. I'm unsure who the smaller boy in the middle on the left of the picture is. The family that took the poplar trees down was Cecil Rose and his sons, one of whom was Brian. Brian drive a tractor that I got to ride on occasionally. When they took the trees down, because they were so large and so close to the house, Brian and his tractor were tied to the trees and when the each tree began to fall, Brian drove as hard as he could to make sure the trees fell clear of the house. They had at least one close call! As I said, I this was a very memorable event for me. Article updated to reflect detail provided by Dawn Clarke in comments. You are viewing the January 1955 archive.